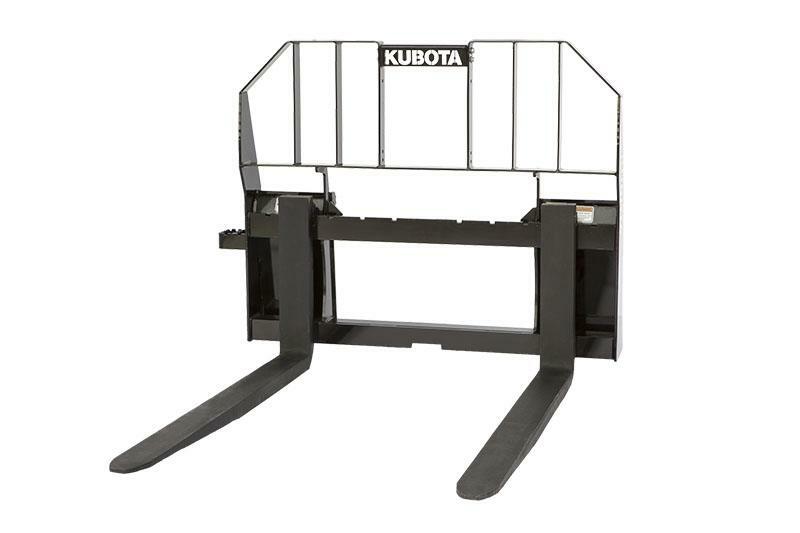 Kubota by Land Pride: Pallet Forks have uses in a wide variety of applications -- farming, ranching, construction, nurseries, campuses, theme parks, salvage operations, warehouses, lumber yards, large or small retail outlets, and more. They can quickly and conveniently turn your Skid Steer Loader or Compact Track Loader into a forklift to expand your material handling capability. Available with 48 in. forks for both 4500 and 5500 lb. capacity pallet forks and 60 in. forks for the 5500 lb. capacity. All models can be adjusted from 12 in. to 44 in. width. The frame includes a skid resistant step. 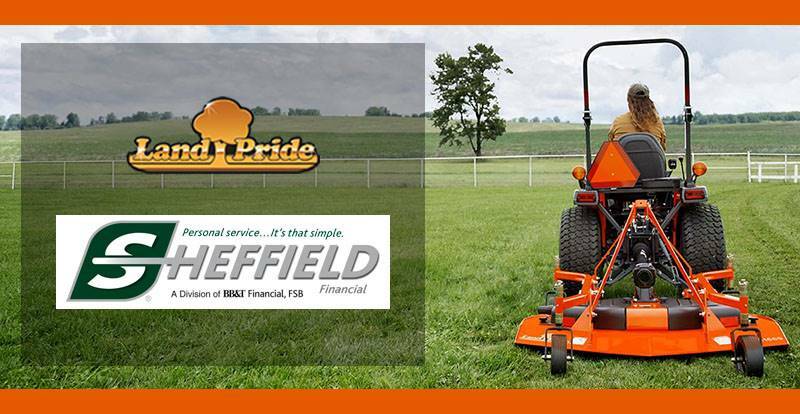 Only available through Kubota Dealers.